Have a question? Let's discuss! Last ReSort is based out of Kentville and services areas within a 30km radius from Hantsport to Berwick. If clients from outside this zone would like to contract our services, mileage costs will apply at 32 cents a kilometre. Once you decide to work with us, we provide a free one-hour consultation. This can be done over the phone, via email, or in your home. 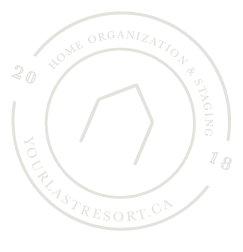 When you hear professional organizer, your favorite reality TV shows about pack rats and hoarders may pop to mind, but there’s much more we can do to help.